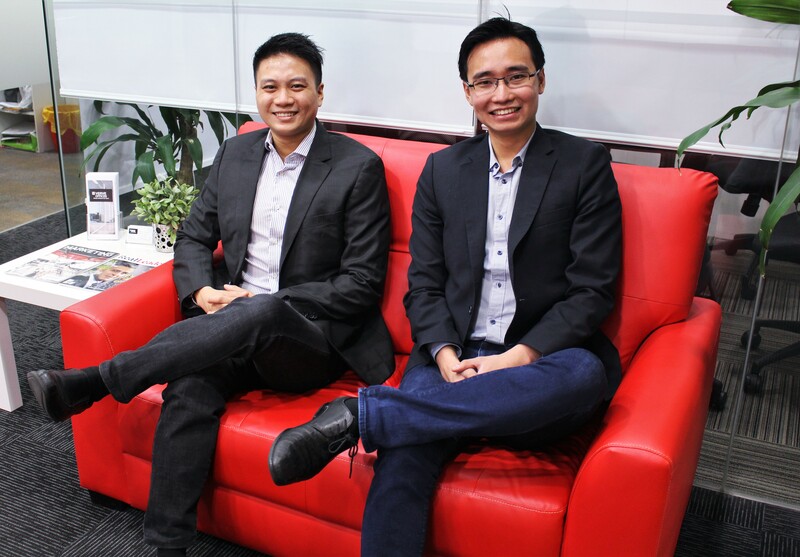 Funding Societies co-founders Reynold Wijaya and Kelvin Teo. Funding Societies, a peer-to-peer lending platform in Southeast Asia, said today that it has raised a $25 million Series B led by Softbank Ventures Korea, the Japanese tech conglomerate’s early-stage venture capital unit. The round included returning investors Sequoia India, which led the Singapore-based startup’s Series A two years ago, Golden Gate Ventures and Alpha JWC Ventures, as well as new backers Qualgro and LINE Ventures. Its Series B was oversubscribed, says Funding Societies, which operates in Singapore, Indonesia, where it is called Modalku, and Malaysia. When it announced its $7.5 million Series A in August 2016, Funding Societies had disbursed $8.7 million Singaporean dollars, a number that has since grown to $145 million SGD, chief executive officer Teo tells TechCrunch. Since its launch, the startup has increased its lender base to more than 60,000 and now claims a default rate of less than 1.5%, down from about 2% to 3% two years ago, thanks to improvements in its underwriting model. Though Teo says Funding Societies is “always exploring other markets, there is still tons of work we need to do in our current three markets.” Despite its considerable growth over the past three years, the startup’s mantra is “slow and steady,” a phrase Teo repeated often during our interview. “One of the key things we highlight is that it’s more important for us to grow slowly and steadily instead of fast and recklessly, because it’s a trust-based industry,” says Teo. Many of the SMEs the company serves are very small. Some of its Indonesian borrowers, for example, make annual revenue of about $5,000 USD per year. “Many of these borrowers are seeking their first business loan and do not have other sources of financing. A lot of financial institutions take a collateral underwriting approach and a lot of budding businesses would not be able to secure financing that way,” says Teo. Funding Societies was created to give SMEs, many of which had previously relied mostly on friends and family loans, access to more means of financing. The company points to a recent study by Ernst & Young, UOB and Dun & Bradstreet that says 65.2% of SMEs in Southeast Asia do not have easy access to traditional business financing, even though most are open to other options, including peer-to-peer lending platforms. The company says it was the first online peer-to-peer lending platform in Malaysia and that based on third-party data, it is now the leading SME lending platform there, as well as one of Singapore’s three largest peer-to-peer lending platforms. It also holds sizable market share in Indonesia. Though its platform uses algorithms for initial application screening, a significant portion of work, depending on loan size, is still done by Funding Societies’ employees, who have grown in number from 70 in 2016 to 165 now (Teo says the company is currently hiring in earnest and willing to pay relocation costs for promising talent). Almost all applicants talk directly to someone from the company. Micro-loans, which range in size from $500 USD to $40,000 USD, usually take about two business hours to approve and disburse, while applicants for larger loans may have to wait a few days to about a week. “We’ve debated and discussed internally a lot if we leave too much money on the table, because our default rate is lower than certain banks in the markets we are serving, but given that we are still at a relatively nascent stage in the lending market and have no control over financial crises, it is more important to stay prudent than to grow recklessly,” says Teo. This methodical approach is also important when entering new markets. Though many outside observers take the umbrella term “Southeast Asia” a little too literally, ignoring cultural differences between each country, Teo says it is still a fragmented market, so financial service companies need to localize carefully. When Funding Societies enters a new market, it can probably port about 50% of its tech and business model from its previous market, but the other half has to be built from ground up to account for economic and cultural differences, he adds.